Pardon my indulgence here, as we add another zero to Wines Under $20. But man, what a night . . . John Caplan, owner of Grapes Wine in Norwalk, CT., ushered in my 50th birthday with an assortment of wine that defied generosity. He’s got a great palate, his store gets wines that others don’t, and here we go! 2001 Frederick Magnien Charmes-Chambertin~$150: Actually, this was my sole contribution to the evening. An average vintage grand cru from an above average producer. This was earthy yet soft, with unleashed cherries running from barn to barn. This came from a ridiculous case discount some years back from North Berkeley Wines. [ed. I am dropping all wine clubs – except Tablas Creek – and joining NBW’s Club Beaune. Serious.]. There are better burgs, but this showed very well. A fine way to start the proceedings. Two Mice. 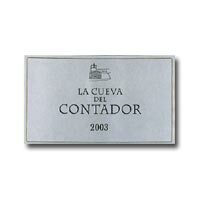 2003 La Cueva del Contador Rioja $75 online: At this point John pointed to his lofty rack and asked in his South African lilt what I wanted. Not ever having tasted a high-end tempranillo, I requested a Rioja and got this . . . words, words, words. OK, here’s a try. The first sip was ordinary. I didn’t get it. Then, Kaiser Soze [ed. the sneaky chameleon character from Usual Suspects], highly metaphorical! entered the room. 2003 Michele Castellani Amarone I Castei~$80 online: OK, this wasn’t the best Amarone I’ve had, but that’s only because a few years back John poured me the ’97 Quintarelli, which deserves a four-page entry in Wikipedia. But this was pretty special. The Blogmeister says he doesn’t favor Amarone, and we’re gonna have to remedy this in July. I’d only say this: it is a hard to match with food. I’d pick some hard cheese and call it a day. This is, like all great wines, bursting with a myriad of flavor yet NOT HEAVY. You can taste the winemaker’s pride, because he knows no one is making anything else like it outside of Veneto. To freaking die for. Three MICE. 2003 Chiaccheri Amarone: Three More Mice. Once you’ve gone with Amarone, you cannot return to anything else. Your palate would laugh at you. I’m running out of mice, but this was my favorite of the night, a little richer and more chocolaty than the previous bottle, which Big Gary preferred. But he preferred this, too. I wanted to smack myself so I could drink more, but I only managed a glass and half. Spent, spoiled and saturated, we returned home. A night for the ages. [ed. Well, I am spent. Reading this review was a bit like watching James Brown – hit me!! – try to totter off stage under a sweat soaked cape only to toss it off and rush back to the mike screaming more ecstasy into the crowd. Again and again. The natural response is to wish I was there. Perfectly normal. Just because I have never tasted an Amarone I liked much less loved. Same goes for Tempranillo. In fact I was recently disappointed in a 1996 Alenza – to be reviewed in next week’s post – and a 1994 Roda I that should have been ethereal instead of OK and quickly fading. Good news is we get Mouse in a couple weeks. Our plan is forming like a Bush White House memo finding a way to bomb another Middle East country. Secretly, demented, grandiose. If only we can solve that little teensy problem…Happy 50th mister!] Share your all-time greatest wine? I already did in this post from August 2007. Ladies and Genulmens here he is the Hardest Workin Man in Show Biznisss…that’s ten mouses!!!!!!!!!! JAMES BROWN. james brown. JAMES BROWN. james brown. « tBoW rocks with Springsteen/Seger, Kirkland changeover and a wine winner from Virginia! !